I think Microsoft should promise like this, otherwise they will lost lots of programmers. Current there are some situations let .NET programmers and Windows Phone programmers confused, they all have a question: whether they need to continue some Microsoft tech such as Silverlight and WPF since HTML5 has come, especially Windows 8 final version is also coming. 1: XNA Game Studio. On an attempt at installing the Windows Phone SDK, the user will receive error messages with regard to components of the XNA tool chain. These components will fail to install on Windows 8; the workaround for this has been blogged about by Aaron Stebner. 2: Windows Phone Emulator. Windows 8 cannot currently run the Windows Phone emulator, which will make it very difficult to debug your code. There are two issues in addition to the simple fact that the emulator does not run on Windows 8, having to do with specific emulator functionality. 3:.NET 3.5. Capability.exe and slsvcutil.exe will not run on Win 8 unless you separately install .NET 3.5. In April 05, 2012, Larry Lieberman posted the 2nd article about “Windows 8 and the Windows Phone SDK”, the part 2. In the new post, he gave some answers based on his 1st post. 1: Windows Phone SDK 7.1.1 Update is now available and enables Windows Phone developers to do two things: “Develop apps that work well on the new 256 MB devices, Use the WPSDK 7.1 to develop on machines running Windows 8” (see here). 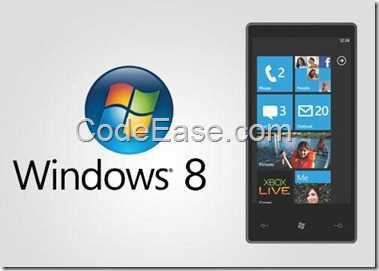 All Windows Phone 7 Can Update to Windows Phone 8 ? Previous Previous post: Nokia Numia 900 $524.99 CAD ?